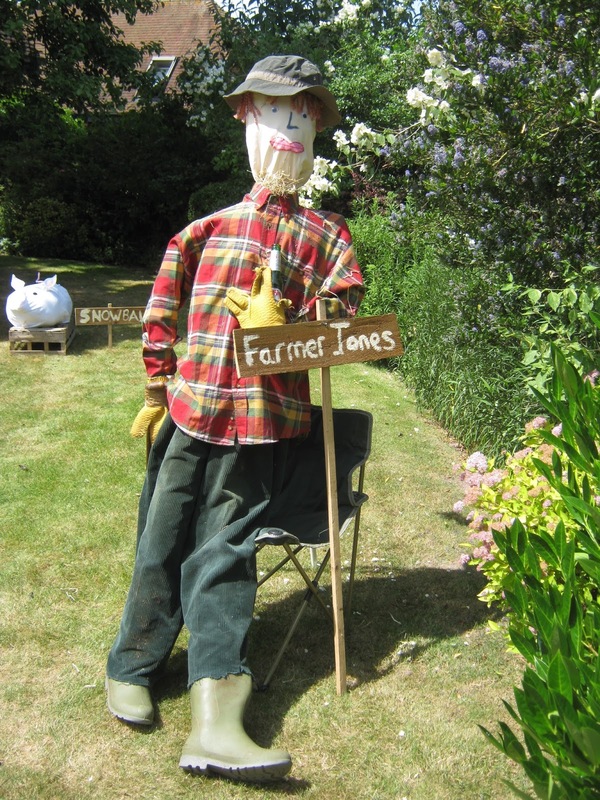 We introduced this award to recognise the efforts of the many scarecrow builders who faced additional challenges to realise their vision, or whose 'crows' were technically outstanding in some specific aspect of the build. 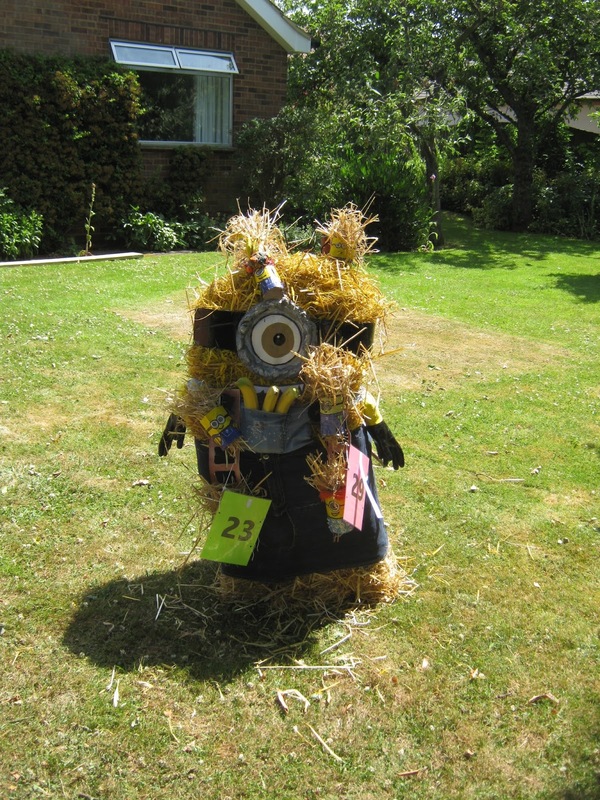 Here are this year's 'Special Mentions'. 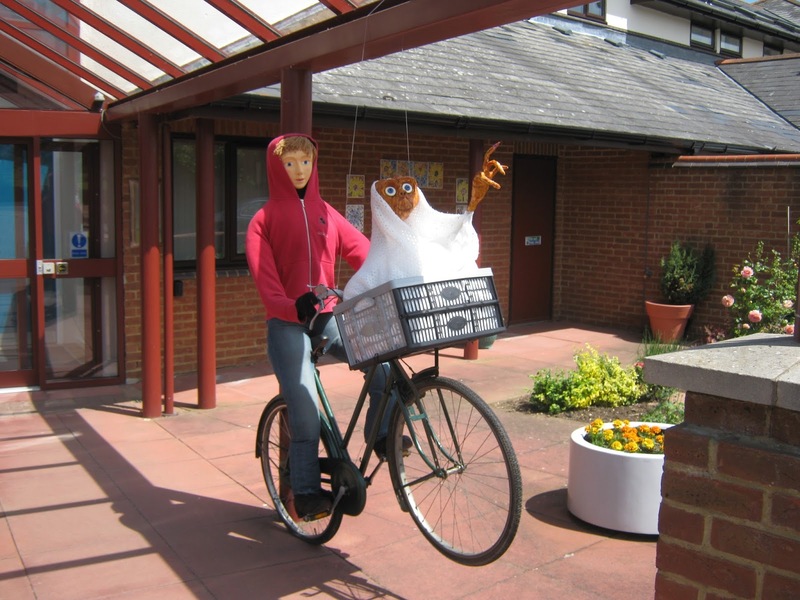 They include two of the five schools, seven community organisations and charities and adults and families. 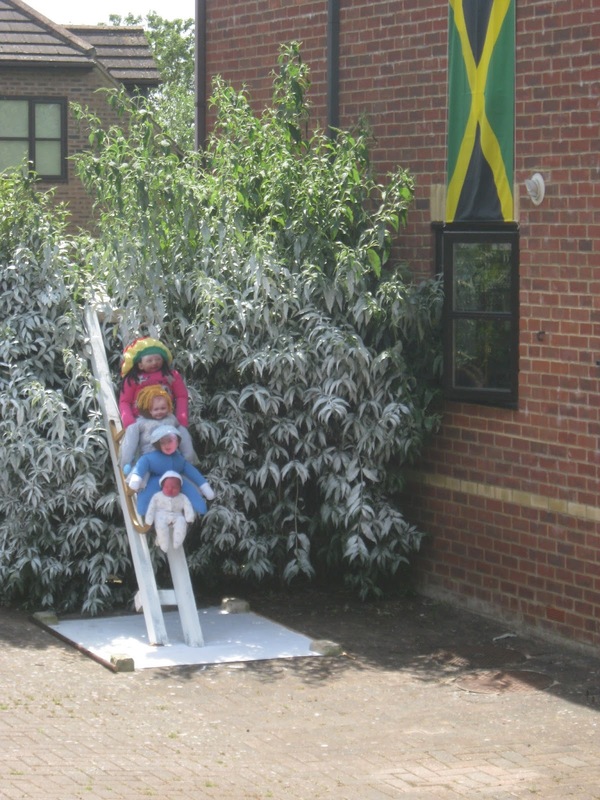 The two schools were Holmwood First School and Denbigh. 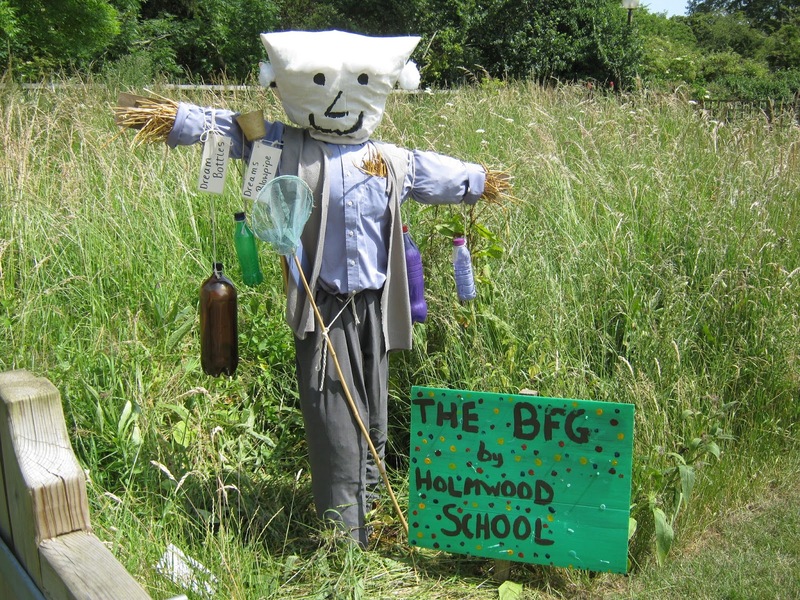 Holmwood First School's B.F.G. 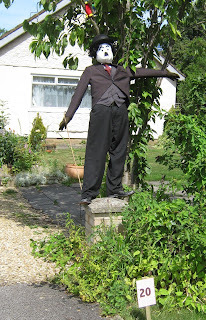 was 'friendly and funny'. 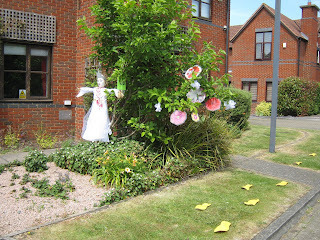 The judges loved the 'traditional approach'. 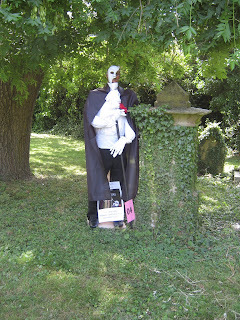 Denbigh's Phantom was described as 'genuinely scary'. The judges felt that they 'would not like to walk past it at night, especially in a graveyard'! 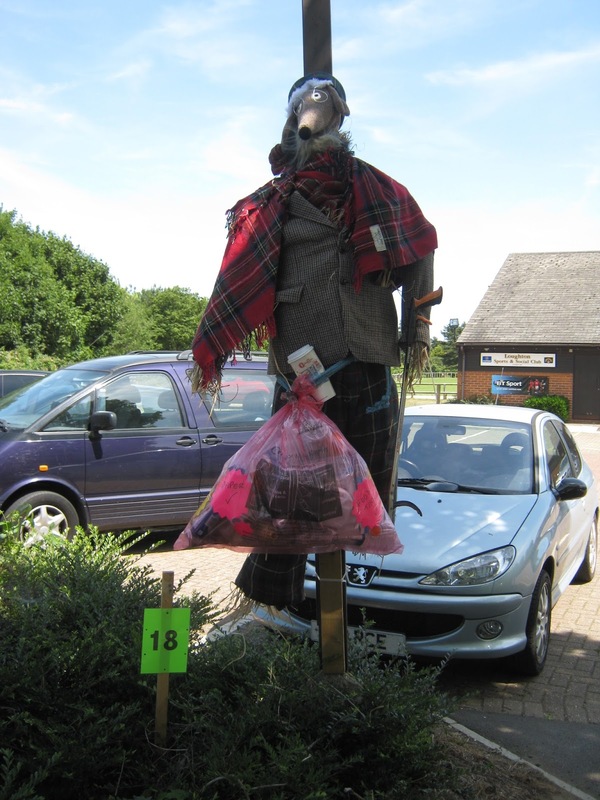 In the Charities sector, Loughton Neighbourhood Action Group's scarecrow was praised as a 'great community-minded Womble'. Cavendish House Residents' ET looked 'realistic and ready for take-off', and Becket House Residents' Edelweis was praised as being a 'brilliant take on an old theme'. The MacIntyre Centre entered three 'crows', all of which received a Special Mention'. 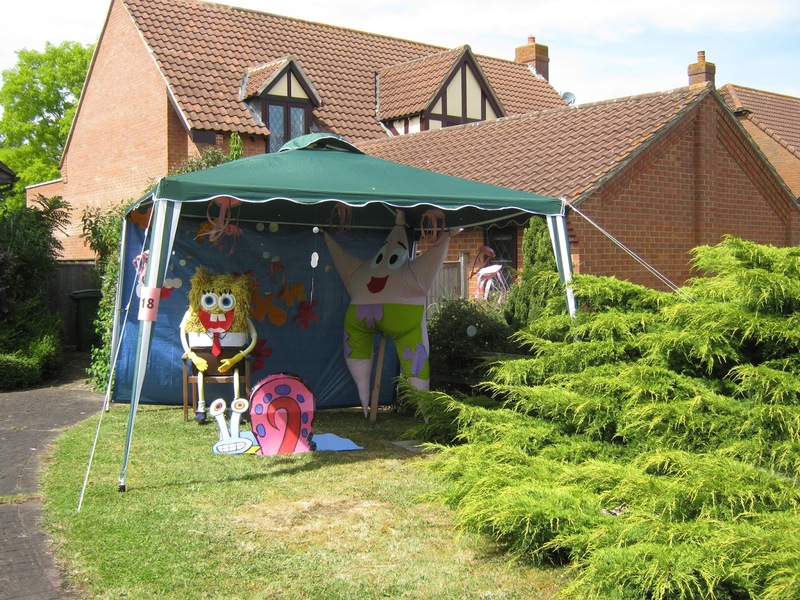 Sponge Bob Square Pants was described as 'jolly'. 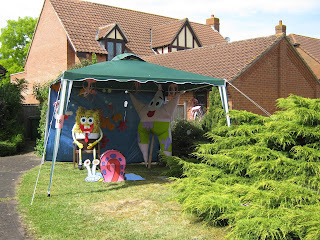 The judges noted that a lot of effort had gone into decorating his pavilion. The Minion was ' convincing and well put together' and Frozen was congratulated for 'incorporating lots of different elements and crafts'. Altogether, a 'fantastic effort' from the MacIntyre Centre! 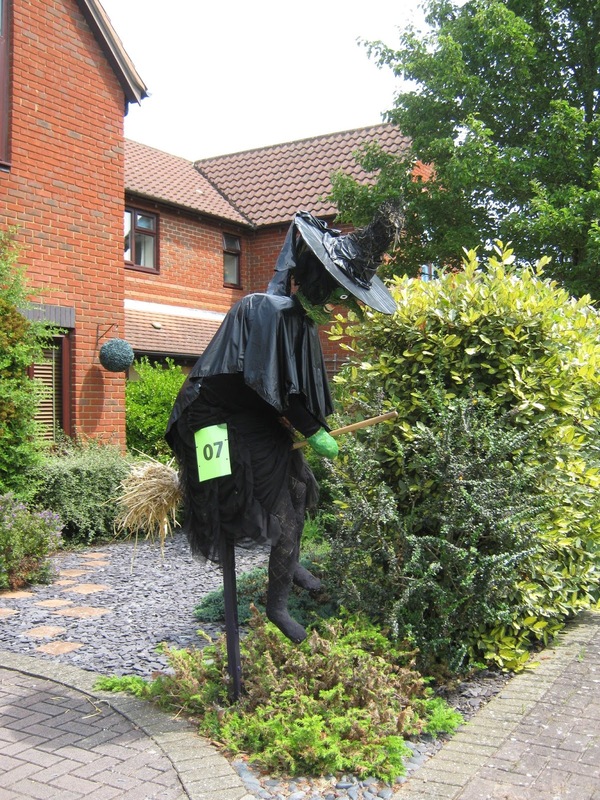 The Loughton and Shenley WI submitted an entry for the first time this year. 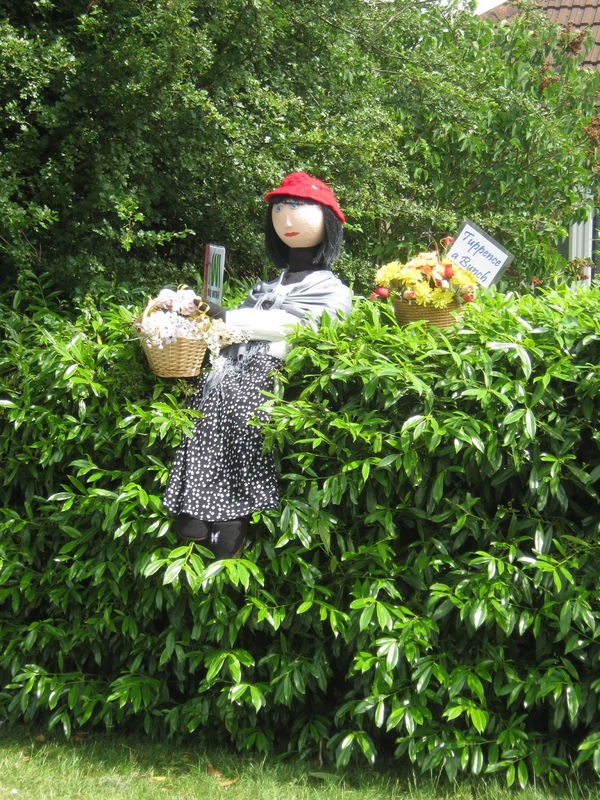 The judges really liked the fact that their Eliza Dolittle was sitting in the hedge; 'good fun', they said. Aside from the Tin Man, who won the Adults and Families Class, all of the other five scarecrows in Oz Land, received a 'Special Mention'. 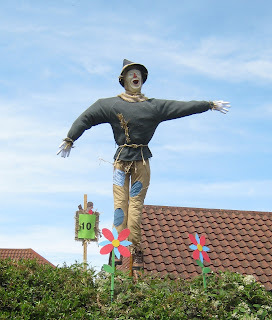 The Scarecrow 'captured the spirit of the Wizard of Oz'. 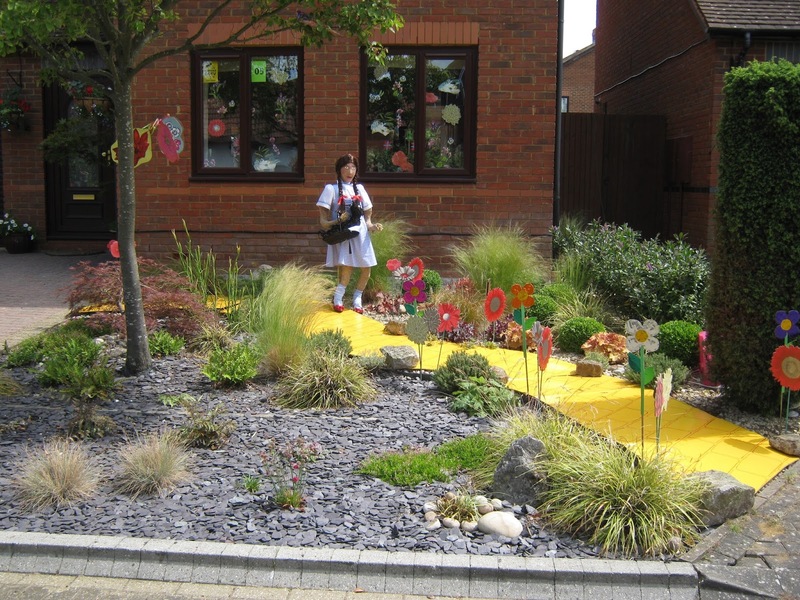 Dorothy was praised for her 'well thought-through setting and sound accompaniment'. The Good Witch of the South was thought 'glamorous'. 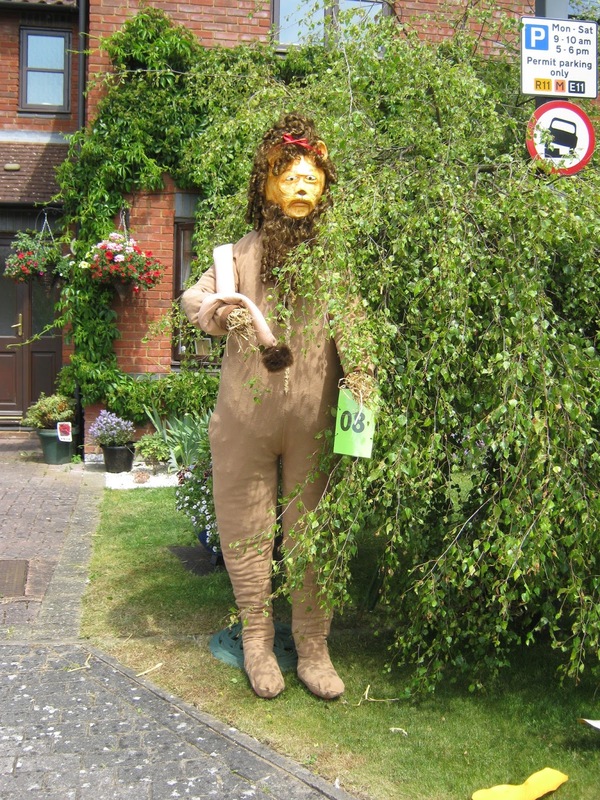 The Cowardly Lion looked as if he had 'come straight off the film set, and The Wicked Witch of the West was deemed to be 'awful but brilliant!' Altogether the judges were really impressed with the 'very high standard' of the entire court and their collaborative effort. The organiser can confirm that she has overheard many appreciative comments from visitors to the trail. 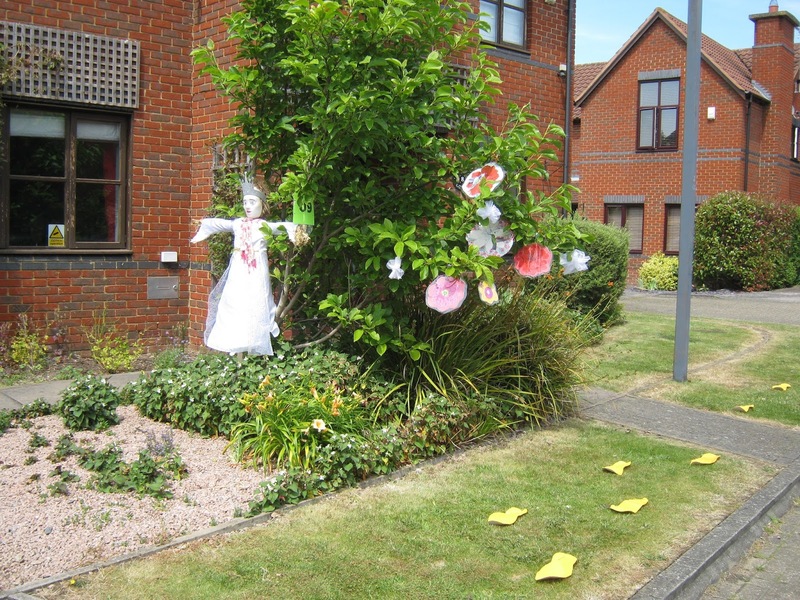 'Exceedingly Well Done' and ' A Big Thank You' go to Crane Court. The rest of the 'Special Mentions' are all from the Adults and Families Class. 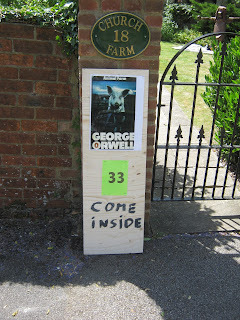 The judges loved Church Farm's entry, Animal Farm for its 'very impressive structures'. 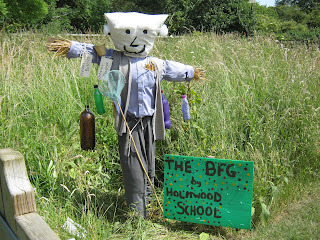 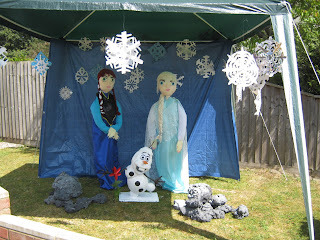 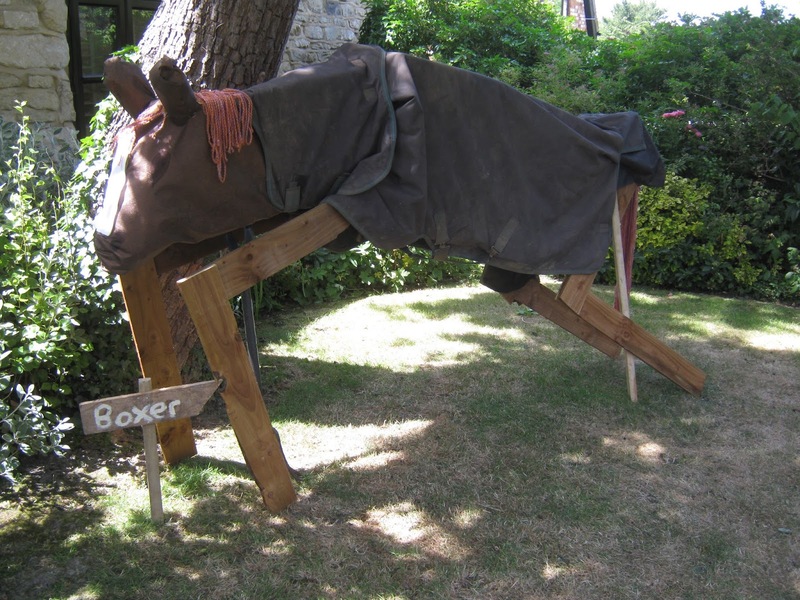 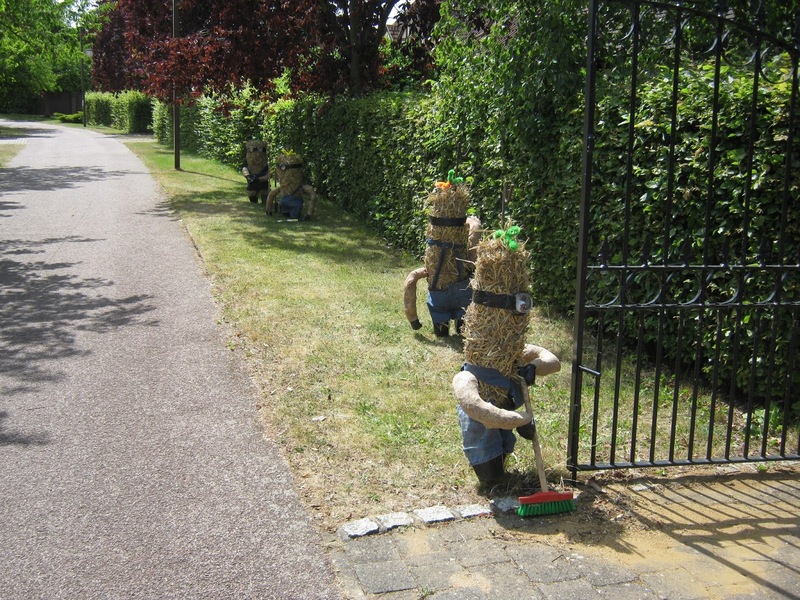 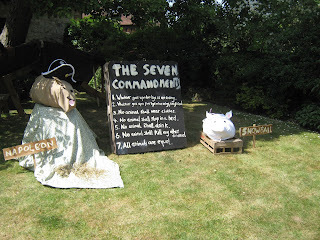 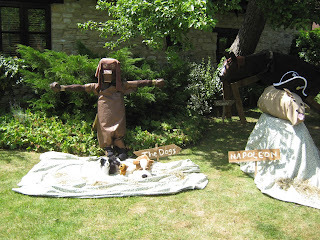 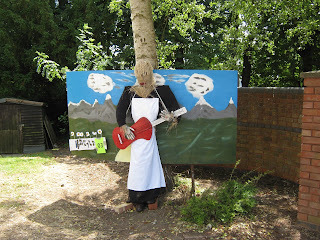 A large number of scarecrows made up this entry, 'all equally good and following a traditional take on the chosen theme'. 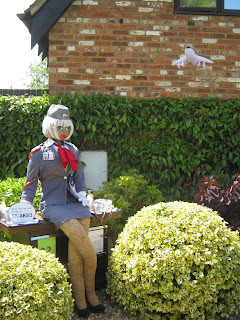 Trolly Dolly was commended for the attention to detail, and especially her 'great pair of shapely pins'! Chaplin was praised as 'brilliant', and 'a proper Charlie!'. There were several entries based on Minions this year. 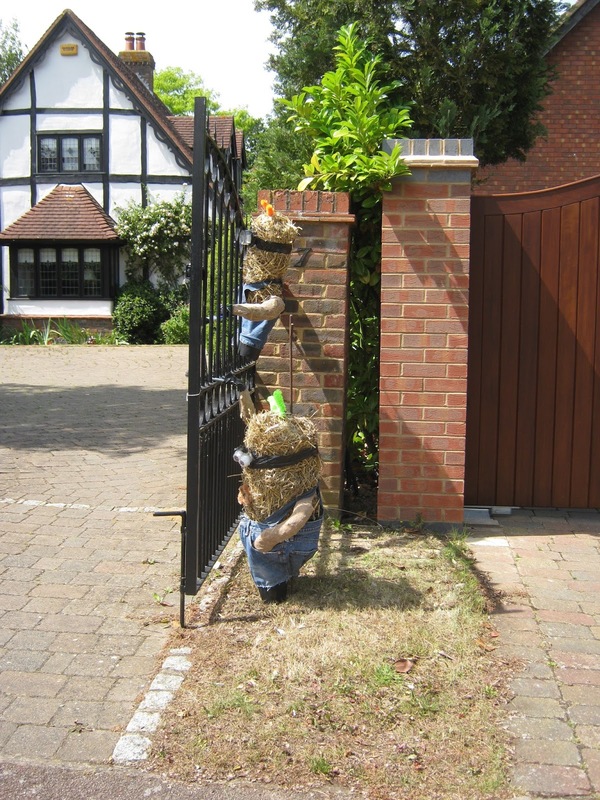 This group was singled out as being 'on trend', and 'a good interpretation of the mischievous nature of minions'. 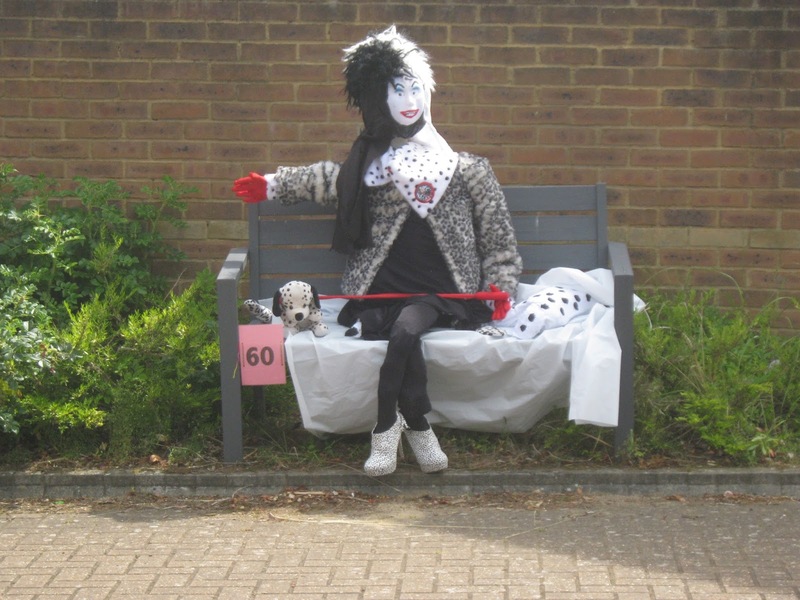 Our final two 'Special Mentions' were Cruella de Ville, 'genuinely terrifying'; and Cool Runnings, 'a blast from the past'. 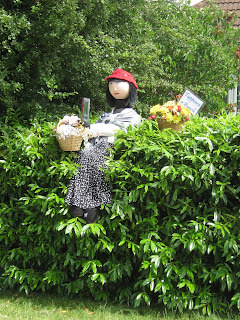 Tomorrow, I'll begin to post the scarecrows that were awarded a 'Well Done' rosette. Remember, every one is a winner!